300 years after the Calamity War's end. Anyone know when the gaiden will release? 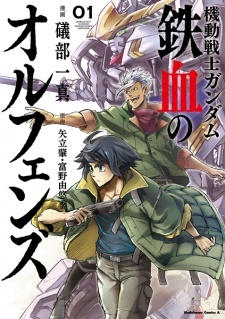 Mobile Suit Gundam: Iron Blooded Orphans (Kidō Senshi Gandamu Tekketsu no Orufenzu) starts with an intriguing opening episode that's very welcoming to new fans of the franchise. It also has tons of shirtless dudes if you're into that.